Two different pages of closed syllable practice with directions explaining what an open syllable is and an example. 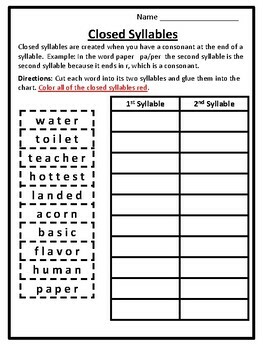 Students cut each word into its two syllables and glue them into the chart. Then they color all of the closed syllables. 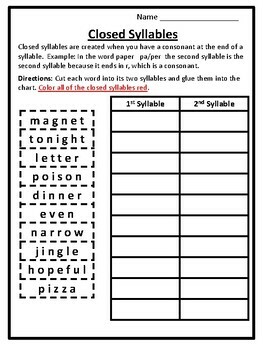 For more activities please check out more closed syllables practice.